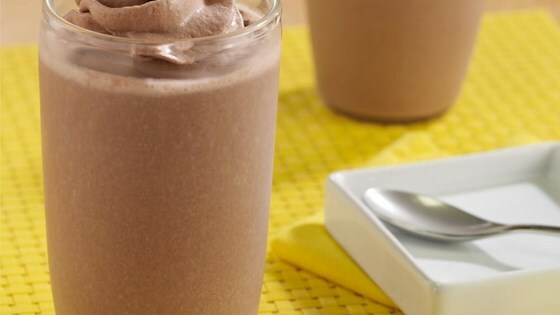 "A smoothie recipe made with chocolate pudding, ripe bananas and creamy peanut butter for an indulgent treat." Divide evenly among 4 glasses; top each with 1 serving Reddi-wip. Serve immediately. Very tasty, made it just as is. You can switch up the pudding flavors to mix it up.